Stitchmastery 3.0 Activation Key – can be used on Windows, macOS and Linux systems. The Activation Key is used to activate Stitchmastery 3.0 so that it runs in full mode rather than demo mode. It can be used on Windows, macOS and Linux systems. 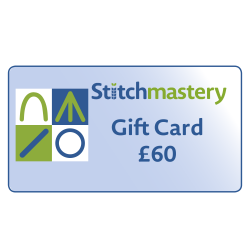 If you do not already have a copy of the Stitchmastery software, download it from https://www.stitchmastery.com/downloads/. Once installed it will run in demo mode until activated with an Activation Key.